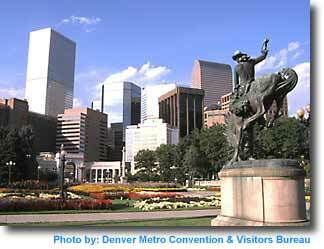 The headquarters hotel for the joint meeting is the Sheraton Denver Hotel located in downtown Denver. To receive the meeting discount, lodging arrangements must be made through the APS Online Housing Service (follow this link) by Friday, February 13, 2009. As in 2006, there are two abstract deadlines: 1) All presenters who would like to have an abstract considered for a 30-minute oral Sherwood presentation will need to submit a one-page abstract in pdf format to the Sherwood Program Committee Chair (trognlien@llnl.gov) by 2:00 PM EST on Monday, January 5. 2) All Sherwood abstracts (poster and oral) need to be submitted to the APS online abstract service (see the APS April Scientific Program page) by Friday, January 9 at 5:00 PM EST. Size and format of abstracts submitted to the online service follow APS requirements for contributed presentations. The first submission for presenters seeking an oral will allow time for the Sherwood Program Committee to make its selections before the deadline for the APS Bulletin, but the second submission is necessary for printing. Note that all abstract deadlines are approximately one month earlier than normal for Sherwood.